On the Rocks. Acrylic and mixed media on canvas, 36" x 84"
​Working with Celina to curate a piece for our home was nothing short of an absolute pleasure. From consultation to delivery... we could not have asked for more from this artist. Our request was for an unusually large composition and it’s addition to our home was exactly what had been missing in our space for years. We were drawn to Celina’s detailed technique, her use of medium and her appreciation for colour and texture, but what is remarkable is how others, who have seen the piece now in our home, have remarked in the same fashion. Her work is so very complex... there is so much to be absorbed. Thank you Celina. Your piece has made an for amazing contribution to our home. ​Mt. Akagi landscape you painted and thinks it's beautiful. Kakumanbuchi, 2018. 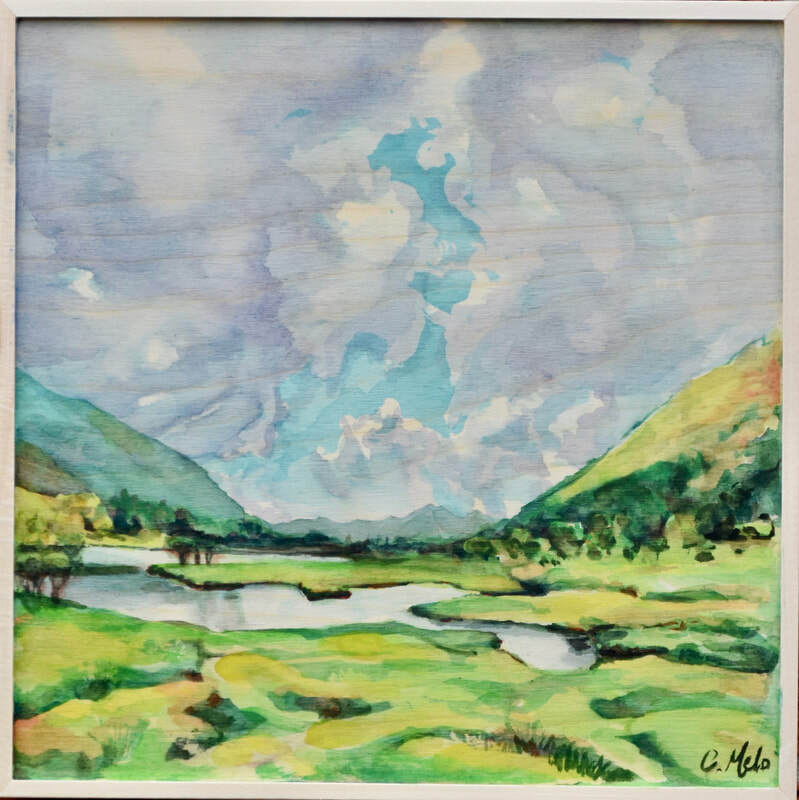 Watercolour on birch wood, 12" x 12"
​​I own two of Celina’s pieces, both landscapes of the Georgian Bay Area, and I love them both! Using her brilliant techniques of texturing and her inspired observance of colours and shadows, Celina captures not only the physical qualities and colours of the scene, but also the temperature, the wind and even the mood of the day. I spend some time admiring Celina’s pieces every time I pass them! She is truly a gifted artist.